Over 18 tonnes of crystal clear ice architecture, experience extreme temperatures at MINUS 5º ICE BAR Queenstown. Live an afternoon in the Antarctic, like a penguin! We’ll dress you warm like an Eskimo so you can explore ice furniture, handmade ice carvings and taste our excellent drinks from ice glasses, choosing from a selection of our delicious cocktails. MINUS 5º ICE BAR offers you a unique experience. Our super-cooled Ice bar takes you to a different world, where you can try our cocktails and explore the fantastic Ice sculptures created by our expert Ice carver. Come by for a pre-dinner chilly cocktail to see what all the fuss is about. 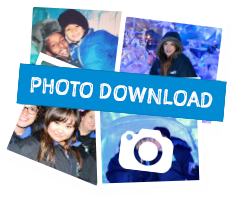 We’ll help you and your family enjoy a rainy day in Queenstown – Check out our Frozen wonderland! The kids will love exploring while you enjoy the atmosphere and view our intricate sculpted Ice. Open from 2pm daily, its easy to come in and check out MINUS 5º ICE BAR before the mad rush in the evening. An experience your family won’t forget! Located at the iconic Steamer Wharf, MINUS 5º ICE BAR Queenstown welcomes every age into our intricately Ice carved world. MINUS 5º ICE BAR, celebrating over 10 years in wowing customers, is a Queenstown tourist attraction ‘must do’ activity and is a bucket list phenomena. Check this off your bucket list and try this awesome activity! Book the Ice Bar for your next private event! The Ice Bar offers group bookings for your private events – MINUS 5º ICE BAR venue is a unique spot in Queenstown! Find out more on our Venue Hire page, or Book now! Break the ice over a few chilly cocktails at your next staff party. A cool, unique and great start to a lively night on the town. Our Ice scuplter produces abstract and realistic ice carvings with specially made Ice – we can even produce personailsed Ice sculptures for your event! Read more about this on our booking page. We offer a fantastic evening combined with our adjacent bar, Little Blackwood. Fire and Ice is the perfect complementary evening, Perfect for large groups, you can check out the ice bar then defrost in comfort with a view to die for over lake Wakatipu. Check out our Venue Hire page for more information.